The supporting cast is shaping up nicely for the upcoming mystery thriller drama, Red Moon, Blue Sun. The leads, Kim Sun-ah (Should We Kiss First) and Lee Yi-kyung (Woohoo Waikiki) had been confirmed previously, and as the premiere date grows closer, we’re learning who else will be joining the cast. In Red Moon, Blue Sun, a suspicious accident sows seeds of doubt in Kim Sun-ah’s life and sets her off on a search for the truth. Kim Sun-ah will play a children’s counselor named Cha Woo-kyung and Lee Yi-kyung will be playing the part of a violent crimes detective named Kang Ji-hoon. The most recent cast addition is Joo Seok-tae (When Time Stops). He will be playing the part of Yoon Tae-joo, an elite doctor and the director of two counseling centers. He and Kim Sun-ah will engage in psychological battles with each other. 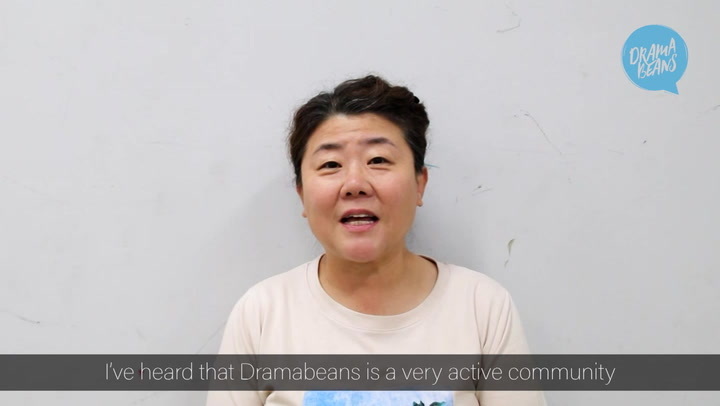 Dramaland every-mom Na Young-hee (Beauty Inside) has signed on to play Kim Sun-ah’s mother. She’s currently filming Beauty Inside and will be jumping straight into this drama for the role of Heo Jin-ok. Na Young-hee’s character married and had children very early on. As a result, she’s lived a largely sheltered life, with her husband and daughter (Kim Sun-ah’s character) looking out for her. Na Young-hee’s character is said to be composed to the point of coming across as cold. Rounding out the latest additions is rookie actor Yeon Je-hyung (Children of a Lesser God). His character Kwon Chan-wook is a man with a sweet disposition who starts out working for the government’s intelligence division. But after a series of murders takes place, he begins working with the violent crimes unit. The drama will air in November on Wednesdays and Thursdays, following My Secret Terrius on MBC. The cast is shaping up nicely. I read somewhere that Nam Gyu-ri will join this drama too. But since DB didn't mention her, I hope it's not true. She would be a rather awkward addition given the other casts' acting prowess. Nam gyu ri the lead actress in heartless city? I'm not fond of her acting, i find that her expression does not really change from scene to scene. I got distracted during her scenes in HC 😅. Yep, that Nam Gyu-ri. I watched her in 3 or 4 dramas and her stiff acting is distracting no matter the role. I checked asianwiki and her name is still there. But since DB didn't mention her, hopefully it's just some casting mix-up. She might be not talent. I remember cringe so hard watching her crying scene in 49 days. How times fly. She actually imptoving at heartless city,and her acting in terius behind me as cameo took me by surprise. I still think I will prefer anyone else who is more reliable though lol. I will watch this... Quee sera sera writers come back.